Kidco Adhesive Mount Magnet Lock Starter Set | White | Perfect for any surface. 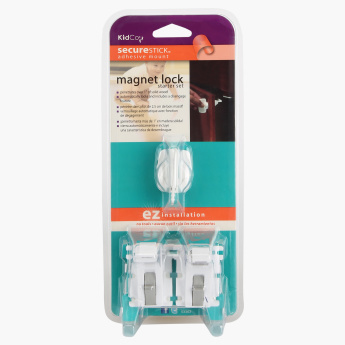 Grab this magnetic lock starter which is essential for your kid's safety, this lock system helps to keep household cabinets and drawers closed. The adhesive mount installation makes it easy and it is ideal for any surface. Feature 1 : Perfect for any surface. Feature 3 : Adhesive mount installation.